While Dell is mostly known as a Windows PC manufacturer, the company is also a big proponent of Linux. Its "Developer Edition" models can be configured with Ubuntu, for instance. Of course, despite this branding, non-developers can buy them too. The XPS 13 "Developer Edition" in particular is a svelte machine that should make many home Linux users very happy. In addition to home users, Dell manufactures solid business-class mobile workstations, and the company recently announced four such Linux-powered models. These Precision "Developer Edition" laptops run Ubuntu and are RHEL certified. One of these notebooks, the Precision 3530, is available today, while the other three will be available soon. "Today I’m proud to announce the new the Linux-based Dell Precision Mobile workstation line: the 3530, 5530, 7530 and the 7730. These systems, which represent the fourth generation of the Precision developer editions, come preloaded with Ubuntu and have been RHEL certified. 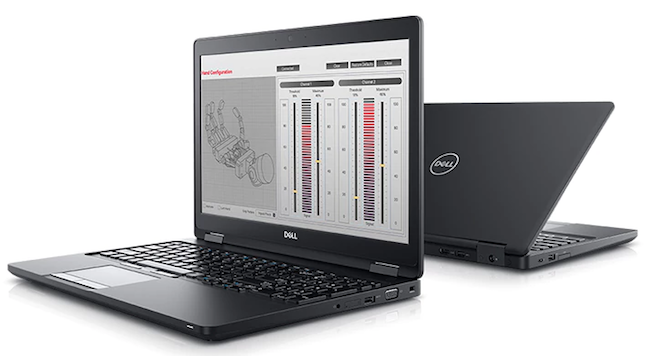 These new thinner, lighter, premium-built Precision mobile workstations feature the latest Intel Core and Xeon processors, blazing-fast memory and professional graphics," says Barton George, Dell. ALSO READ: Ubuntu Linux 18.04 Bionic Beaver is here -- download it now! George further says, "As mentioned above, all four developer editions will be certified for RHEL 7.5 and the needed drivers will be included in the distro. That being said, the AMD and NVIDIA drivers that come with 7.5 are inbox drivers. We will be posting drivers for both graphic cards that will include professional features not included in the inbox drivers." Barton George shares significant features and specs of the four machines below. Available in Platinum Silver or Brushed Onyx, with a 15.6-inch display fit into a 14-inch chassis. Next-gen graphics up to NVIDIA Quadro P2000. As previously mentioned, only the 3530 Developer Edition model is available today -- availability for the other three is not yet known. If you want to buy your own, you can configure it here. You may have noticed that the machines will come with Ubuntu 16.04 LTS and not the newer long term support version 18.04. While this might surprise some, it is likely because 16.04 is more proven -- very important for business users. They should, of course, run 18.04 LTS perfectly fine.